Happy Friday! I'm mostly likely sitting on the beach with one of my besties right now. We finally live in the same state and get to plan get aways together with our families. I also put together a quick video over the weekend of what we got for Baby Fox's school haul. Linking up with The Blended Blog for Friday Loves, where I share other bloggers around the internet, because really it's all about supporting each other. 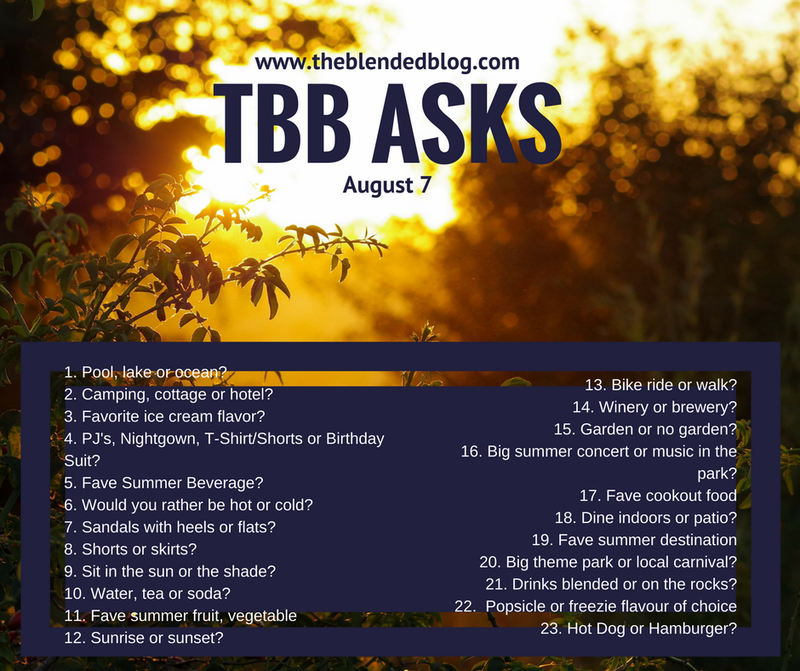 First up is The Blended Blog is hosting a new series called TBB Asks, where we ask questions and you answer them on the first Monday of the month! We want to get to know you and want to know the little details about your life. Come back later this month when we have the next set of questions for September. Thanks Lea for linking up with us. So awesome that Cindy from Creations By Cindy also got involved and left her answers in the comments section. Thanks ladies for participating. Hope to see you next month! Next up is Lisa from Daily Style Finds, holy cow she created a 15 piece capsule wardrobe for that Summer to Fall transition that will dress you for at least 12 days, I mean come on, genius there! Now to have all the money in the world to buy every single thing. She knocked it out of the park! Here are days 1-4, head to her blog to see the rest of the days! 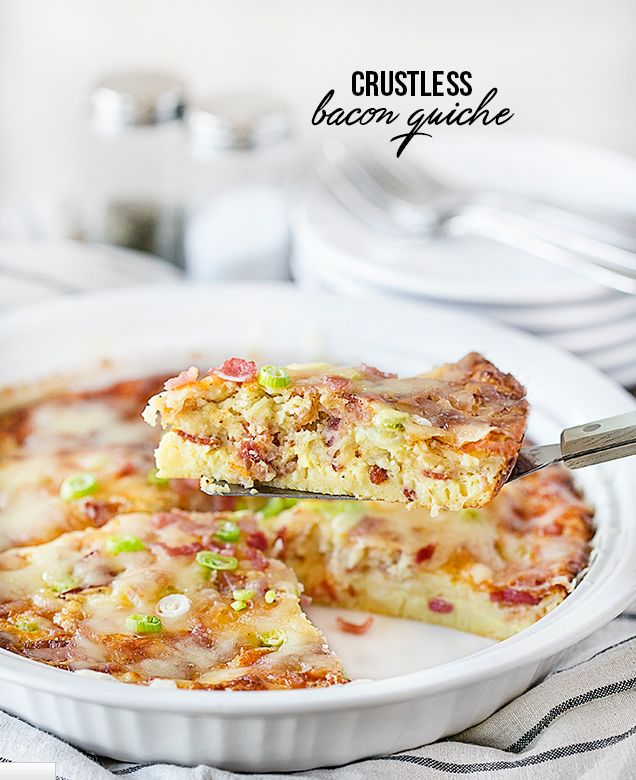 Kelly created this Crustless Bacon Quiche, how good does this look, and mostly stuff you already have at home, so no need to go to the store to feel a little fancy. Thank you for the school supplies, going school shopping never gets old, and I'm just glad that I just get to buy the stuff and don't actually have to GO to school. Please don't put ideas into your sisters head. Just suggesting that she's going to have nightmares tonight did indead freak her out and then she was crying that she didn't want to go to bed because of said nightmares you promised her...thanks.a.lot. Hopefully door cracked she'll make it through the night. If she needs someone to sleep with, it's going to be you buddy, not me. Why must you be so good. The.End. Thank you for being considerate, and even though you were pulled out further than me, you still pulled back into your spot so that I could get out first. That was super nice of you and totally unexpected. People these days are just so rude and it was refreshing, so thank you. I am so excited to see you this weekend, and can't wait for our kids to start making memories. I got you to move back to Cali, now can you move like 500 miles closer? I'm wearing you down lady. I still have dreams of us living next door to each other and being soccer moms. I have the soccer mom part down, now I need the neighbor thing. You have been good to us. Although we haven't taken a long vacation, these long weekends are awesome. I've had so many short weeks this summer, it's been awesome. Thank you for being awesome so far. I know it's probably going to jinx it and that you always seem to get hottest in the August-October time frame, but I'm enjoying you while you last...it would be awesome if soccer season would cooler, that one year when we had 5 games in 100°+ heat was miserable. For both the spectator and player. Stop being so good, I need to stop eating you, but you keep looking so good and I want all the food. Last weekend was super busy. Friday my sister and mom came over for dinner (dad was sick) and we had a blast, it's been way too long, or so it seems. It was nice to catch up and gossip. Saturday was a full day, we meet up with some friend sand went on a Fairy Hike, it was seriously the cutest thing EVER and the view wasn't half bad either! How cute is this?! I won't show you all of the stuff they had set up, but it was super cute, and the kids had a blast! Mini Fox almost made it walking the whole way and then completely broke down 50 feet from the end. Saturday night I went out to celebrate a friends 40th birthday. 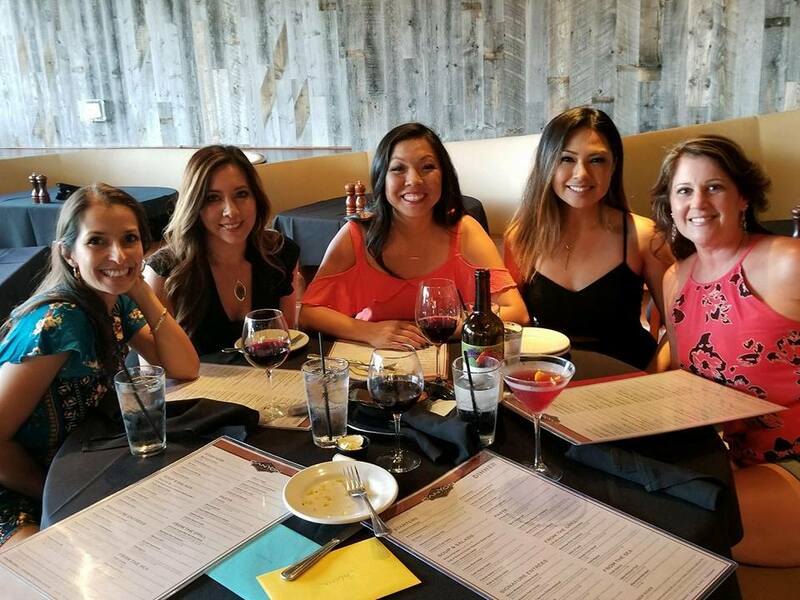 So happy we got to spend so much time together, we started at dinner and then ended at a friends house with some wine and s'mores. Can't beat that! Baby Fox spent the night at our friends house and was slightly late getting home, so we were on our way to church and realized we were going to be 10 minute late, and I really dislike that, so we decided to go to Target and get Baby Fox's school supplies. (see video from above). Taking Mr. to Target is equavalent to another child, he fully admits it too, he hate Target and wants to know when we are leaving the mintue we walk in there. Afterwards we headed to get donuts and relax at home, after I was done editing the video I decided that I really wanted to return all of my Nordstrom purchases and Mini Fox jumped at the chance to go with me. Yay for a shopping partner! We stopped into Disney Store and she let me know everything that she wanted for her birthday. This cup included. After we got back I decided I wanted to set up the tent we're taking with us to Yosemite, it was new and we had never opened the box, figured it would be best to figure out the issues now, then when we got there. Success! Let me tell you it got a whole lot easier when Mr. came home and could help, super hard to ask a 6 and 3 year old to stop a pole from going through the window...haha, don't worry no windows were harmed. Ladies, if you don't watch anything, you HAVE to watch this, it's going to take you back to your high school days, they did such a good job with this, so awesome! The planning to make this, holy cow, there are no words. Ladies of the 90's, watch this, you'll thank me later. And this is a real life This is Us story, so sweet and you are just rooting for him the whole way! Of course this is the most amazing Ninja Warrior, I just love watching her, she always has a smile on her face, and can we talk about how awesome her superman outfit is? The back on that, holy cow, amazing.